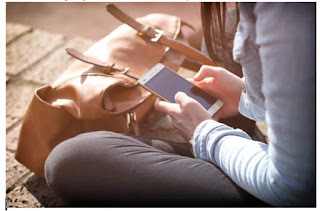 According to a Time Magazine’s Techland report that polled 5,000 Americans, Brazilians, Brits, Chinese, South Africans, South Koreans and Indians, we’re all quite addicted to our phones. With 84% respondents saying that they couldn’t go a single day without their cellphones, the stats show that we’re hopelessly in love with our devices for better or worse. Unfortunately, the love between you and your gadget can’t last long because these tools are not meant to serve you forever. We have all been there, the day that our beloved smartphone gives up on us and refuses to reboot. Unfortunately, even though it has happened before, we are not ready to give up on our current phone because we are too attached to it. Yes, we can buy a new and trendy phone, but we don’t because we are afraid of the memories that will go away with it. However, if you don’t want to be someone whose phone acts up during an urgent call with the boss, you need to know when you should make the switch. Though there is no fool-proof way of knowing when you need a new phone; however, there are a few signs that will help you. Remember, if you can relate any of these indications to your phone, it means it is time for you to say goodbye to your current cell phone and start looking for a new one. If your phone is taking forever to startup, load an app or get your contacts, its time you started thinking about searching for a new one. If your device is moving painfully slow and you have the time to get angry between all the interactions, this is a sign that your smartphone is soon going to die. If you’ve checked every detail and even after you have updated the software, gotten rid of unnecessary files and apps and the device is still slow, you have to start thinking about replacing it seriously. Even issues that seem small like reduced touch sensitivity and slow reaction time are signals that your processor is getting slow and can no longer function as it used to. You have to know when a device has reached this state. And when, after trying everything to speed it up, there is nothing more than you can do to bring its performance back up. Though some apps are just plain spam and you can do nothing to keep them from crashing even if you have the best phone, most apps that are available on the App Store and Play Store are authentic. It is the reason why you have to be alarmed when your apps keep crashing but work fine on other people’s devices. If you’ve updated your operating system and the situation doesn’t seem to have changed, it means that it is not the apps at fault, but your device. However, you must also remember that apps don't support some updates and so you should be careful in both cases. Also, bear in mind that apps often crash because your phone’s RAM is low and this is why their threshold doesn’t allow the apps to run efficiently. In such a case, you need to be sure to invest in a top-of-the-line device that has a lot of RAM allocation so you can enjoy apps without hassle. Does it feel like your phone is on fire when you hold it and start up an app? Though there are several causes of overheating, you’ve to know that it is a sign of an issue if the temperature is going up even though you aren’t using it. Remember that overheating is not a small problem. It shouldn’t be ignored because this can be dangerous for you and the people around you as your phone can explode because of overheating. If you do detect overheating, the first thing you must do is to get it checked out by an expert repair technician and take his word if he says that your gadget is just old and needs to be replaced immediately. One of the top reasons why you should start considering getting a new phone is when you can’t download the new operating system (OS) updates. What this means for you is that the manufacturer doesn’t support or offer upgrades to your device. It could be because the hardware is outdated and can no longer be supported by the new OS. For instance, if you own a device with a 32-bit processor, you cannot upgrade to an OS that runs on 64-bit. Remember, it is crucial that you upgrade the software or get a new phone otherwise you’ll be putting yourself at concern for security purposes. When your phone isn’t or can’t be updated, you leave your data and system vulnerable to hackers and cyber attacks who’re always waiting for the right opportunity. Are you often found near a charging dock no matter where you go? If yes then you have a phone with a weak battery in your life. Though some brands don’t offer you the battery life that others do, you need to know how long it lasts on a particular day. If your phone was able to stick with you for 12 hours without the need for charging and suddenly requires you to charge in 3 hours or less, you have a problem on your hands. Battery life is a recurrent issue faced by buyers whose mobiles are just too old and end up dying in the middle of the day. However, make sure that other than the battery, there are no other issues that you may be missing out on when your phone needs frequent charging. Have you ever been in the situation where you were excited to snap a cute moment between your pet and your child only to receive the message of ‘not enough memory’ on your phone? If you have, then you must know how frustrating it is. What you need to understand is that, to install apps from reliable sources such as airg, save photos, videos, and media content, you need to have space on your device. Unfortunately, most old phones had storage of 8GB or 16GB which isn’t a lot to work with because even small apps take up a lot of space. So, if you can’t get rid of that message even after you have deleted everything possible, it’s time you started thinking about switching and changing your phone. Finally, get yourself a new phone if you just feel like this current one isn’t working for you anymore. It isn’t necessary that there may be something wrong with your device because you don’t need an excuse to buy a new phone for yourself. If you’re facing any of these problems or just want to make the switch, browse the market and look for phones that suit your needs best and then invest.